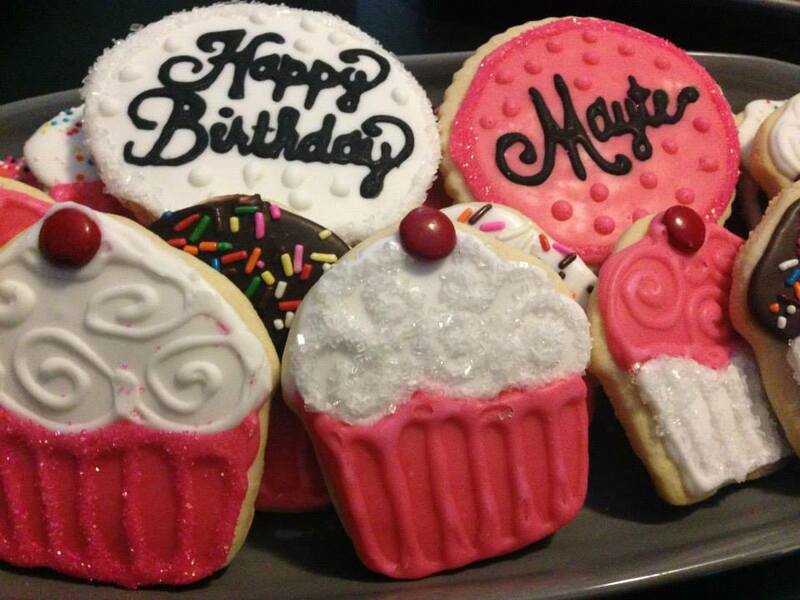 What better way to say “Happy Birthday!” than a platter of cookies?! These cookies are cookies, but they think they are cupcakes. Either way, they make an adorable birthday gift. I went with pink, white and a chocolate brown for the main colors and used rainbow sprinkles and M&Ms as accents. The main focus though? The name tag and Happy Birthday cookies! Definitely makes a cookie platter feel more personalized!